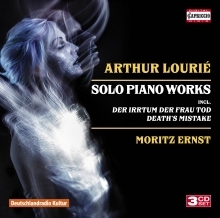 When we endeavour to grasp the composer Arthur Lourié, we encounter some difficulties. He was born as Naum Izrailevich Lur'ya in 1892, according to his own statements and documents, but there is also evidence for 1891. At the age of 21, the born Jew converted to Christianity; he was a charismatic bohemian and Soviet cultural politician who did not return from a so-called official journey to Berlin in 1922 and was a pioneer of Modernism in music, enjoying mingling among the poets and painters of the Silver Age and being inspired by them. His musical oeuvre is just as multi-faceted and diverse. During his years in Russia, he composed the most differing works next to one another, true to the precept of his role model Ferruccio Busoni that a composer should never repeat himself and has to find a new artistic solution for every work, as it were. But the pieces from his exile in France (1924-1941) paradoxically often sound more Russian than those written in Russia. 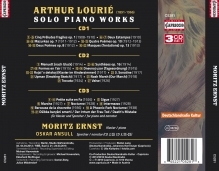 However, Lourié’s 10-year collaboration and partly also friendship with Igor Stravinsky interestingly found no expression in his piano works. Stravinsky’s percussive piano style remained alien to him.